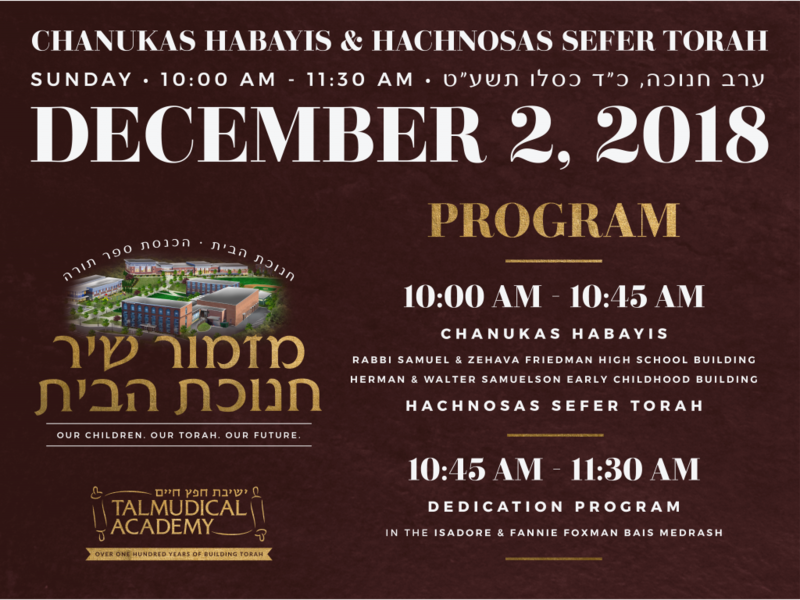 Yeshivas Chofetz Chaim – Talmudical Academy (TA) is committed to helping its students reach their highest potential. A century-old legacy in Baltimore, the school provides a nurturing, Torah-rich environment for students to intellectually challenge themselves, to gain and develop outstanding character traits, and to live out the principles of Torah. 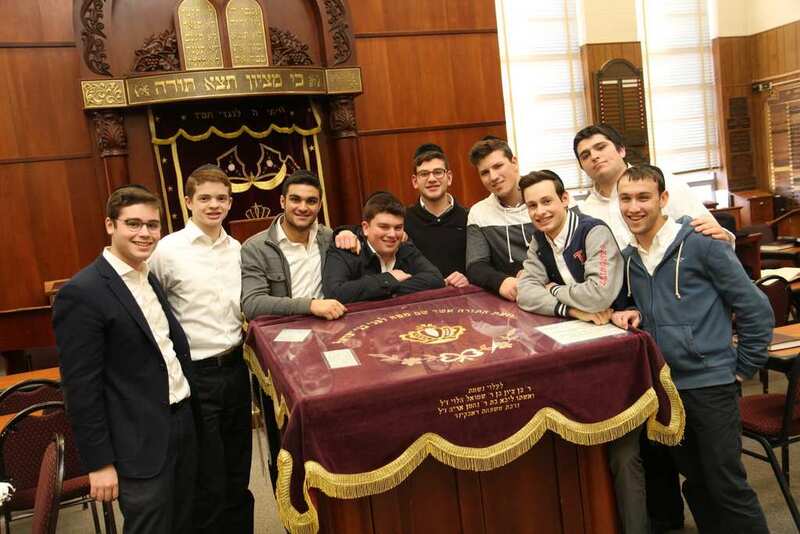 Our individualized, quality educational program enables the students to become independent, life-long learners and contributing members of the Jewish and greater communities. TA’s educational philosophy is simple: Do what is best for each child. Period. 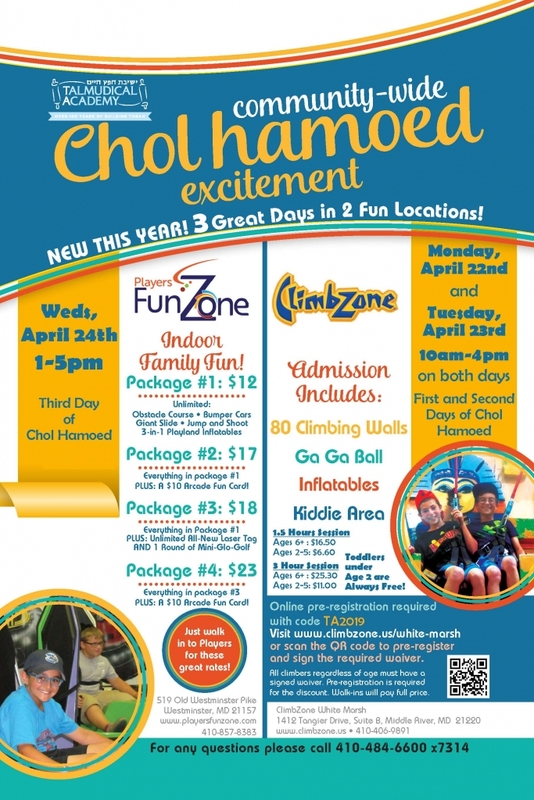 Every type of child can find his niche at Talmudical Academy. That includes the student who is focused on excelling in his Torah learning, the child who desires a challenging, college-preparatory General Studies program, and even the kid who just wants to play ball. Talmudical Academy rabbeim and teachers help every student grow from where he is, recognize each child’s strengths and weaknesses, and encourage him to excel. While TA has continued to expand, now serving over 1,000 students, its mission—to focus on the individual student, and to always provide a warm, nurturing and loving educational environment—remains the same.